When I started in the domain name industry, I knew no other domainers. None. I had no idea what I was doing or where to turn for answers. I stumbled across Elliott’s Blog, now DomainInvesting.com, while I was looking for a way to sell a domain I had since the 90’s. I pretty quickly became a regular reader and even reached out to Elliott with a couple of questions, which he patiently answer for me. 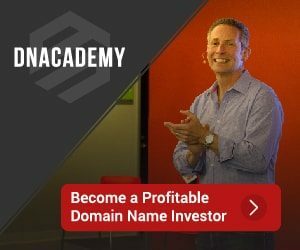 Soon, I found domaining.com and with it, several fantastic resources on the domain name industry. I was engulfed. I started blogging as a way to share information with my fellow noobs and to learn from those that were succeeding in the industry. That was 8 years ago. I’ve learned an amazing amount in the years since I began and I’ve met dozens of great people. Monday I’m kicking off a series called 21 Days to Becoming a Better Domainer. This is intended for those fairly new to the industry and struggling to make any progress. That’s not to say that a seasoned domainer won’t find value in this but it is written with the beginner in mind. Domainers at any level will find subtle reminders and perhaps inspiration in some of the posts in the series. These may be things you’ve done or observed in the past and things you continue to do today. Nothing I’ll be talking about is particularly groundbreaking, amazing, or a secret ritual only shared among the hidden society of elite domainers. It’s instead, a plan to get beginners up to speed faster and a reminder to those who have been in the industry for a while. Sometimes it’s easy to forget the fundamentals. I would love to hear feedback from the beginners and comments from the seasoned pros as the series rolls out. Tell me where I’m wrong or where your experience has differed. There is nothing to lose here and everything to gain.